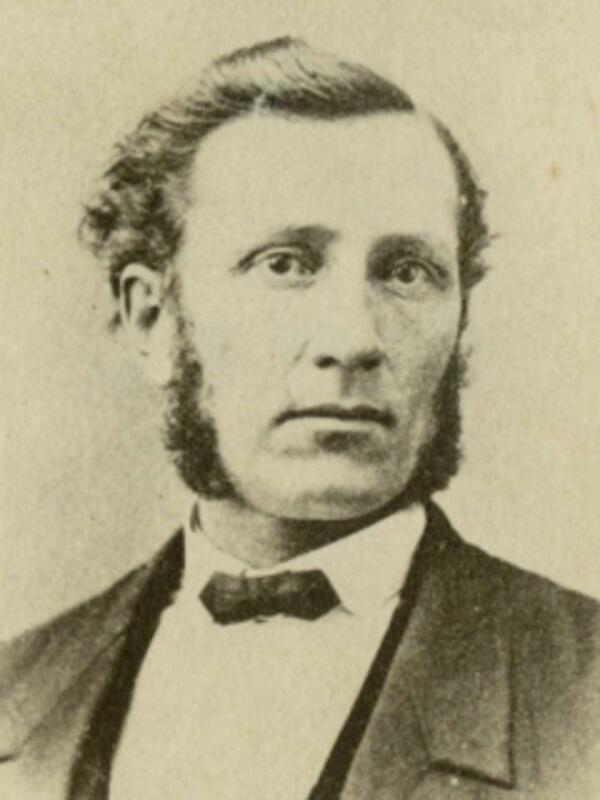 Joseph initially traveled to the Salt Lake Valley in the Heber C. Kimball Company in 1848. At the end of his mission to the Sandwich Islands, he drove a team for George Crismon's family and traveled home with the Freeman Tanner Company in 1858 as indicated in his missionary report. At the end of his mission to Great Britain, he traveled home as a chaplain in the John W. Woolley Company in 1863 as indicated in the McLachlan and Pulsipher sources. J. F. S., "Recollections," Juvenile Instructor , 27 May 1871, 87-88; ibid., 10 June 1871, 91; ibid., 24 June 1871, 98-99. Journal History of The Church of Jesus Christ of Latter-day Saints, Supplement after 31 December 1848, 16. Juvenile Instructor, vol. 6, p. 91, 98-99. McLachlan, William, Journal, in Journal History of The Church of Jesus Christ of Latter-day Saints, 4 Oct. 1863, 13-19. McLachlan, William, Reminiscences and journals, 1863-1886, vol. 1, 115-139. Pulsipher, Mrs. E. I., “An Amazing Life History,” Relief Society Magazine , July 1928, 388-390. Smith, Joseph F., [Reminiscences], in Susan Arrington Madsen, I Walked to Zion , 36-37. Smith, Joseph Fielding, "A Report of My Mission," , in Missionary reports, 1831-1900. "Thousands Pay Last Honors to Dead Chief," Salt Lake Herald-Republican, 23 November 1918, 1.